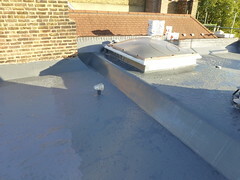 Why choose a liquid flat roofing system for your new flat roof. 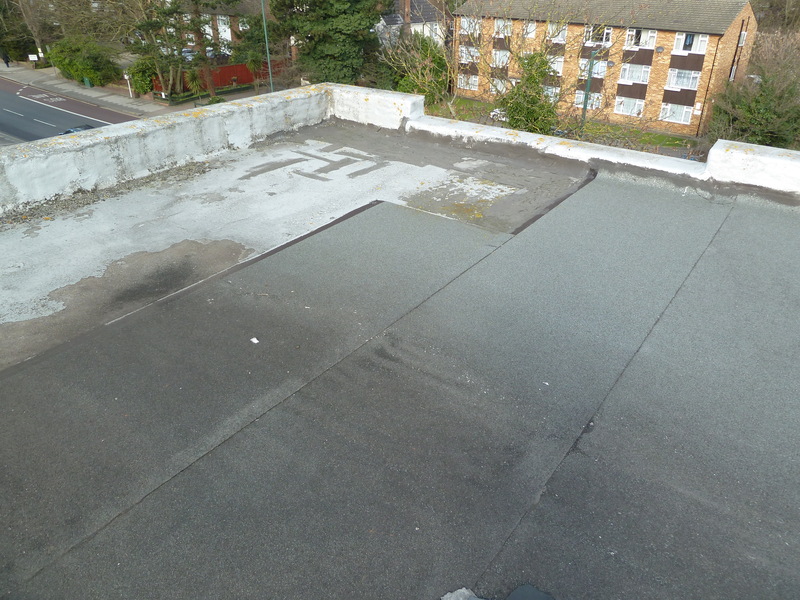 Some roofs just look a mess when covered with a sheet roofing materials, if the flat roof is large and the detailing is limited then a sheet flat roofing materials such as EPDM rubber could be used. If the roof is covered with obstacles such as skylights, pipes, air conditioning units and so on then a liquid roofing system should be chosen. I alway explain to my customers we don’t choose the flat roofing system for the roof the roof and your budget chooses the system. 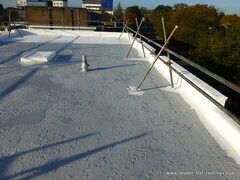 The new Liquid roofing system we are using on this roof is ideal as an overlay system for old flat roofs, the advantages of the GacoRoof liquid flatroofing system is that its snow white when completed reflecting all the suns rays int he summer. Recently we have been overlaying an old asphalt roof in Wembley with a new silicon-based liquid roofing material called Gaco Roof. I took the opportunity and made a video, hopefully explaining how we can provide an estimate of the cost of a new flat roof over the phone, using information given by the customer. becoming one of our favourite liquid systems. 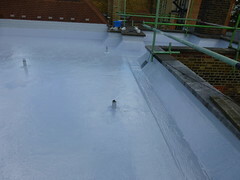 Liquid roofing systems all have their respective advantages and disadvantages. If you have been following my blog, you will know that over the years I have been trained to use several different liquid roofing membranes, and after extensive testing, if a system is found not to be that good, we will stop using it. Ive found in general it take around about a year to understand a new liquid roofing system you need to go thorough all 4 seasons before a complete understanding can be achieved.